(Hibiscus sp. ‘Shirley Temple’) Many of our Treesearch customers are familiar with the pink version of this stunning hibiscus – well, now there’s a pure white one that we have fallen in love with! 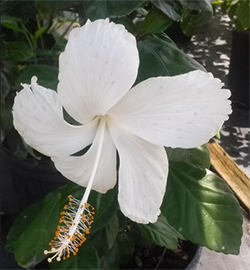 Incredible 5″ white blooms have a long white stamen that makes you feel like you’re in the tropics. Blooms from spring until our first frost. Beautiful dark green glossy foliage with an upright growth habit. 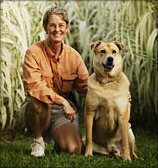 Can easily be pruned as a thick 3’x3′ blooming shrub or shaped into a 6′-9′ tree form. Tough, root hardy tropical hibiscus, may be evergreen in mild winters. Plant in sun or light shade.